1214 square feet, 3 bedrooms, 3 bathrooms, garage and one parking space minutes from CU! Ideal floor plan for either shared or private living. Open floor plan, common living/kitchen/dining. Southern exposures. Large master bedroom, en suite bathroom,custom closet built ins. Western bedroom with large windows could be a light, bright office. 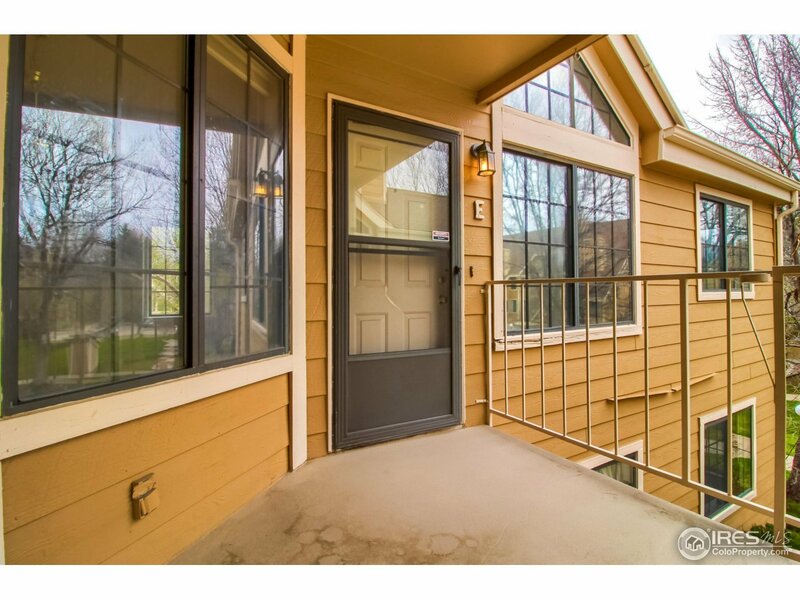 Sunny west facing balcony with a gated area for a pet, a new furnace and water heater and you are set with one of the nicest situations in Boulder.